A day in the life of a thrifty Welsh mum and her adventures with her kids. Wychwood Festival 2017- Another Year Of Family Fun! 2017 was the third time the James family have been to Wychwood which is testament to how good it is! I knew there would be plenty on offer for the kids and parents alike, and we would have a ball. I was lucky enough to get half price tickets after I was emailed a special offer code which made it really affordable. It cost just over £160 for all us to go which I think is amazing. You can drive your car on site, there are no queues and the arena is a short walk away. There are plenty of clean toilets and showers. The site is lovely and flat and there is plenty of open space for the children to play. There is a family campsite area which is relatively quiet at night and the vibe is very laid back and family friendly. Its definitely a family affair and the small scale of it really appeals. Your children are never bored at Wychwood. There is a whole field dedicated to family activities and there is such a wide range of things going on, from Circus workshops, African drumming, clowns, fire shows, children's authors, art and craft. It really does have everything. Not an iPad in sight! You don't tend to get the big headline acts that you do at some of the bigger festivals but that is part of its charm. We really loved discovering some new music and also listening to some old favourites like Billy Bragg and OMD. Smoove and Turrell were a new discovery and we will definitely be catching them again. There is plenty to keep the adults entertained too! A few minor points about the festival this year. We really missed the hot tubs that used to be in front of the stage. The kids and I love splashing about in the hot tubs listening to some of the music but there was no sign of them this year. Please bring them back! It did seem slightly smaller this year and not quite as much going on but we still had a great time. We really wanted to try out the Silent Disco after the headline acts had finished but there wasn't enough headsets for everyone. We started to queue but the queue time was horrendous so we missed out. It would be great to have more headsets next year and increase the capacity. Overall we had a wonderful time again and will definitely be back! What I am looking forward to at Kaya Festival, and a nice little offer for my readers! Following on from my post the day My top 5 family festival wishlist , I am absolutely thrilled to say that me and the children have been invited to be guests of Kaya Festival and I am really looking to writing about our experiences at the festival, and making some fabulous memories. Kaya festival takes place between the 04th, 05th, 06th and 7th of August so hopefully the weather will be kind to us! So why did I choose Kaya to be on my wishlist? Kaya is a family festival of world music and culture. Kaya features a diverse range of music including African, Jamaican, European, Latin American, Asian and other World Music. I absolutely love world music, and working in the field of Equality and Diversity, I know that the more diverse the music, the better it will be! I also know that the children will love hearing new music, hearing new instruments and experiencing different cultures. I love the fact that this will broaden their horizons and help them appreciate the global world around them. The fact that it is set in the beautiful Margam Country Park (between Swansea and Cardiff- just off Junction 38 of the M4) means that the 850 acre surroundings will be breathtaking and its also very local to me, so no long journeys with the children moaning about whether we are nearly there yet. The country park already offers a full day out of activities for the children, which we regularly visit, so the fact that there will also be this amazing festival there will just top it all off and make it a family festival experience second to none. It's also amazingly affordable. Just remember that the more money you pay doesn't always translate into a good family festival experience. I have found some of the expensive festivals inferior to some of the smaller much more affordable festivals. Having big mainstream popular artists is not top of my list of priorities, and with the bigger mainstream festivals, this will be what you will be paying for rather than a intimate family friendly affair. Kaya tickets are now on sale for an amazing price of £99 for the whole weekend including camping and parking. Children 15 and under also go free which I think is fantastic value as most family festivals charge for children aged 5 and over. I have a very exciting special offer for my readers. You can get a adult full weekend ticket for £70 by clicking here and by entering the discount code 'Invite'. Day tickets are also available for £25 each and there is a 2 for 1 deal currently on. Where to start! There is a huge range of workshops and activties on aimed at families. These range from Storytelling workshops, the Panic Circus, bubble shows (Rainbow Gecko), Mad Science Workshops- which my kids will love as they have already been to one of their workshops and really enjoyed, Jitterbug Circus and drumming workshops. It looks as if there will be plenty for us to do, and we simply cannot wait. What's the camping set up for families? There is both a general camp site and a dedicated family camp site. The family camping is furthest away from the main arena to reduce the amount of noise disruption at night. Camping is available from the Thursday night to the Monday morning . The camping is secured and monitored so that provides extra reassurance for families who may be worried about noisy neighbours. Parking is very near to the camp site which makes it so much easier when you have young children, and are worried about carrying heavy camping stuff over long distances. There is a zero tolerance of drugs and anyone found with drugs will be asked to leave and prosecuted, so again extra reassurance for those with children. Camping stoves can be used so that will be perfect for us as I usually take our own food. Working in the field of Equality and Diversity, it is always important to me that events are accessible for all, and those who use wheelchairs, pushchairs or have restricted mobility can come and enjoy the event as much as everyone else. Some of the festivals I have visited have been very inaccessible so its great news that the main arena of Kaya is accessible with concrete level paths and roads. Carers can also attend free when attending with a disabled person. The line up is amazing with a great mix of well known and less well know world music acts. I love discovering new music so am really looking forward to who I discover over the weekend. Highlights in the line up for me are Asian Dub Foundation, Craig Charles, Judge Jules and Melbourne Ska Orchestra. There are plenty more artists playing so we will hopefully be checking out some new music to add to my world music favourite artists. All in all, it looks a cracking festival and I am hoping that my friends and family will join me in this awesome experience! 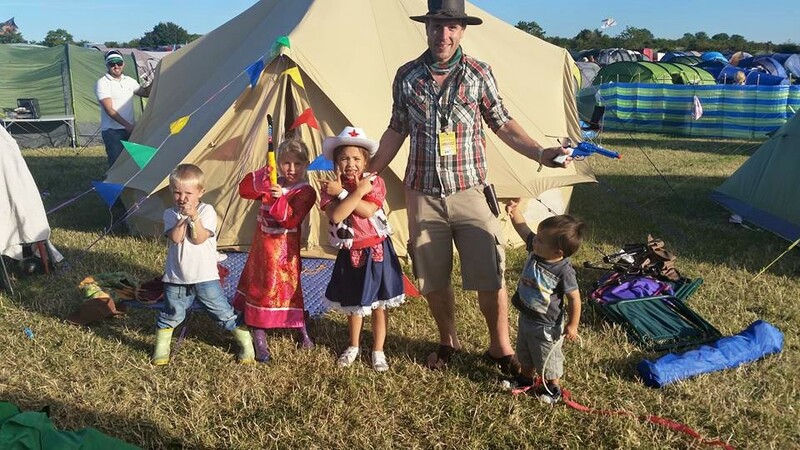 As regular readers will know, the James family absolutely love a family festival but whilst on our festival journey, we have learnt lots along the way and usually by our mistakes so I thought I would share my top 10 tips for getting the most out of a family festival. 1, Do your research and do it early. It really does pay to research the family festivals that are out there, and have a good look at their websites to see if what's on offer appeals to you. Different festivals will have different selling points so it's always worth having a good look before committing. Sites like Festival Kidz are a good place to start. The earlier you start looking, the better as most festivals offer early bird tickets which are sometimes half the price of the normal ticket price. These are usually limited so it pays to get in there early. Once you have decided on what festival you would like to go to, it is always worth subscribing to their newsletter and following their social media channels. Many festivals will alert you to special offers, competitions and early bird ticket prices via their newsletters and social media channels. Personally, for me, the musical line up is not the most important thing for me, but years ago it was. I have learnt that realistically your children will be more interested in doing other things rather than sitting listening to music all day. You may be able to catch a few bands but the chances are, you won't catch as many as you may have wanted too. I would just focus on the main ones you want to see, and any others you see are a bonus. If there is more than one adult going, I would try and share the babysitting duties so you do get to catch a few of your favourite bands, and also get to have some adult only fun. There is nothing worse than seeing drunk adults dragging toddlers around in tow in the early hours of the morning. Young kids need their sleep, especially if they are going to get the best out of their time at the festival, so its unfair and selfish to expect them to stay up all hours just to indulge their parents need to party. Sometimes it's not possible but if there is a group of you going, this has worked really well for me in the past. 4, An easily accessible family camp site is crucial. There is nothing like trekking miles across fields with a mountain of stuff and 2 young children in tow, to get your family festival experience off to a bad start. 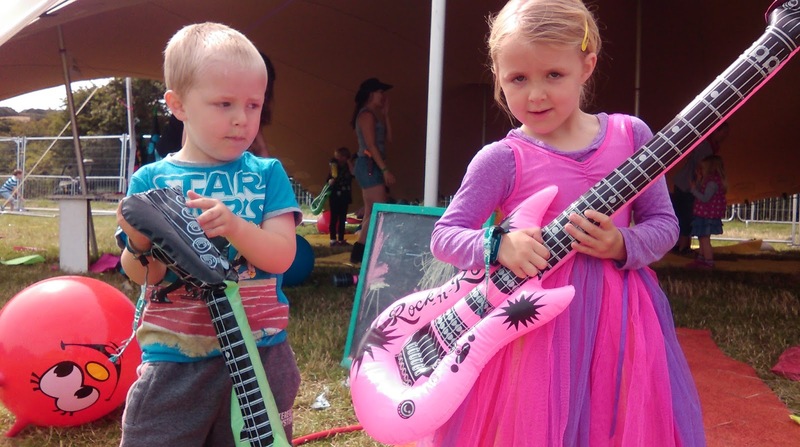 The best family festivals such as Wychwood festival and Lakefest will let you either drive straight onto the camp site to unload your stuff or the family campsite is right next to the car parking. This just makes life so much easier because inevitably you will need to take a lot of stuff with you. We always end up taking loads and without doubt this is one of the most important factors for us. I always seem to be on a budget so know that we can't really afford to live on takeaway food from the food vans although this can be a nice treat. Also the food on offer is not always the most healthy so we tend to take our own food with us. Drink (non alcoholic and alcoholic) also tends to be expensive so we try and take as much as we can. Some camp sites have a ban on disposable BBQ's but I don't think this has been a problem for us. We also invested in a small gas stove which has been a godsend, as we can heat up tinned food etc really quickly and easily. Obviously taking your own food and drink will add to how much stuff you need to carry but it's worth it. Many festivals do prevent you taking your own alcohol but you can't really drink much in the day anyway as you will have your kids to look after. We usually have a bit of a drink once the kids are tucked up in bed back at the tent, and build a bit of a camp fire. Its good fun! It really pays to plan your festival experience to make sure you get the best out of it, and also so you take everything you need. I will always check out the programme of workshops and events to highlight anything that looks really appealing, so I can make sure me and the kids check it out. Having said that, it is also really fun to go with the flow and discover new things by surprise. I would highlight a couple of things that you really want to do and then go with the flow for the rest of the time. I also really plan what I think we will need. Things like wet wipes, towels for the shower, toilet roll, food, camping accessories, wellies, wet weather gear are all important. We have a camping toilet and toilet tent which we have found really useful with the kids as they don't have to walk far to use the toilet. Most family festivals will have a fancy dress theme. If you check out the festival website and social media channels you will usually find this out. Whilst fancy dress may not be everyone's cup of tea, I really do think it adds a bit of fun to the whole experience, and the kids really enjoy it. A few years ago we invested in a 4 meter Soulpad bell tent and this turned out to be a really good investment. The amount of space it gives you and the cool canvas means you can get a good nights sleep. Last year we upgraded to a 5m 'Boutique Camping' bell tent, and this gave us even more space. You really do feel like you are 'glamping' in comfort so I would highly recommend getting one, especially if you think you will be doing a decent amount of camping. A small 4 person tent will be ok, but it's unlikely you will be particularly comfortable. Part of the magic for children in family festivals is giving them a little bit more freedom than they usually have. This can be simply letting them run around freely around your area of the camp site with newly acquired friends, or letting them get involved in workshops with minimal supervision. Children really enjoy the sense of freedom and I think it helps them grow. In my mind, one of my absolute favourite things to do is to take my family to a family friendly festival. The extra freedom that it gives my children, the outdoor space, the weird and wonderful activities on offer, and the chance to catch some of my favourite bands makes it a blissful experience. The family festivals also tend to be a lot more affordable than some of the more large mainstream ones so it can be a really cheap way to take your children on holiday especially if you buy the tickets early. My children can't wait until their next festival experience and I really do think it broadens their horizons. We have been very lucky in recent years and have made it to a number of festivals which are family friendly. Some are better than others so I thought I would list some of favourites as well as some that I want to go to in the future. We discovered this little gem in 2014, and it was so good that we went back last year. The things I love about this festival is that there is a whole field dedicated to family friendly activities so it literally means the little ones are entertained all day. The fact that it is on Cheltenham racecourse means the grounds are super family friendly as there are concrete paths and everything is flat. They also let you take your car to the camp site to unload which is essential if you have little ones. I have learnt this the hard way. It is also nice and quiet when it gets late as all the music stops by midnight but they do have a silent disco, comedy tent and poetry tent if you want to stay up late. I would highly recommend the poetry tent- its always quiet but you see some brilliantly funny people. The line up is always good and Mr Tumble is a regular performer, which goes down well with the kids. We really hope we can go back this year to make more happy memories. We decided to go to this festival last year as it had one of my favourite bands- The Dandy Warhol's- playing. I was a little bit hesitant as it was in Hertfordshire so a long distance from sunny Wales, and a long journey for the kids- about 4 hours with traffic delays. It was definitely worth it though. The main area was really quirky and had a wild west theme. There was also a fantastic children's area with loads for the kids to do. We particularly liked the science shows and making a home made rocket was good fun. One highlight was the fact that there was a kids club every morning in the family camping field, which was brilliant. Another highlight is that there is an outdoor swimming pool that is free to use but we didn't get to use it as there was a long wait when we tried. The fancy dress that people were wearing was also the best I had ever seen- a lot of effort went into it. The only downsides were that you can't take your car onto the camp site and it was a fair old trek carrying lots of stuff to the family field. The camping fields are also on very hilly ground so its difficult to push pushchairs and walk with the kids after a long day as its very steep. There is also a lot of noise at night as there seems to be dance music playing all night so take some earplugs! Having said all that, we really enjoyed our weekend so I would definitely go back. We have been to Lake fest 3 times and have loved it every time. It is a small festival but is due to relocate this year as it needs a bigger site due to its success. The site also has a small family field with lots going on, and has a really friendly feel. The camp site is right next to the car park so setting up is not a problem. The size of the festival has been a real bonus as it's easy to get around and it also has free hot showers. One of the big highlights is the beautiful boating lake which means you can go out on a pedalo or watch the sunset. The main stage is under cover so that's a bonus if it is raining but we have been really lucky with the weather every time we have been. The only downside for me is the amount of expensive fair ground rides there. Inevitably this means the kids moaning to go on rides all weekend and my wallet being significantly lighter! I am hoping the new bigger site won't detract from what we love about Lakefest, and it will continue to offer family friendly fun. This is a festival that we have never actually been too but we would love to go. Last year it clashed with our family holiday but this year we really hope we can make it. That was the first year it was held but it is back this year so that's a good sign! It is very local for us, as its based in the beautiful Margam Country park which is 30 minutes away. It is a world music festival which is right up my street as I love listening to diverse music and experiencing different cultural sounds. The festival is very affordable with super early bird weekend camping tickets priced at £55 which is an absolute steal. These have now sold out but you can still pick up an early bird ticket for £79 for the weekend. Children up to 15 go free which is fantastic as there is usually a charge for children aged 5 and over at other family festivals. They seem to have lots on offer for families including a circus, story telling workshops, mad science workshops and lots more. Kaya is definitely top of our festival wishlist this year! We went to the Greenman back in 2013 and have always wanted to go back with the children. It was just me and my ex when we went and we had a great time but I remember thinking that the family field looked wonderful. The best thing about this festival is its setting. It is set in the Brecon Beacons in breathtaking scenery, which I still remember to this day. Its also not far away which is also a bonus when taking the kids. The line up is also always great with a good mix of left field artists and different stages. The little folk area has lots on offer for families and there is also a dedicated family camping field. The downsides are that its very expensive compared to some of the other family festivals but children under 5 are free and those aged 5-12 are only charged £20. There is also a fair walk to the main camp sites but I think this is not the case when you go to the family camping field. I definitely hope that my kids get to experience it one day. I really would encourage anyone with children to take them to one of these festivals. I promise you will have a pleasant surprise! UN International Day for the Elimination of Racial Discrimination- Why Is It Important? acknowledge the profound damage caused by racial discrimination." Living in a society that is tolerant of others, and free of hatred based on people’s identity is a subject close to my heart. I guess I wouldn't do the job I do, if it wasn't, and I have to thank my wonderful parents for being such a positive influence on me growing up. The recent refugee and migrant crises has led to a commitment by the UK Government to help relocate 20’000 Syrian refugees, who are fleeing the civil war in Syria, by relocating them from refugee camps in the Middle East to the UK. The families will need support and compassion when they arrive, as it is likely they have been profoundly affected by what they have seen and experienced. sentiment, which could quickly increase if the majority allow it too. things such as racism and homophobia happen. Information on this important campaign can be found here. It really is a subject that is close to my heart, and I really think it is important that we talk about these things. I still can't quite believe it has been over a month, since I split with my husband. Some people will say it is early days, but for me, it feels like a lifetime. As the dust has settled, I have come to realise that generally I am happier now. I do have my low moments, and it does still feel slightly strange, but I don't really miss married life. I do miss the marriage that we once had, but not the marriage that we have had in recent years. Unfortunately the love that I once had for my husband, has diminished to the point, where it no longer exists, and that is sad but I have finally accepted it. 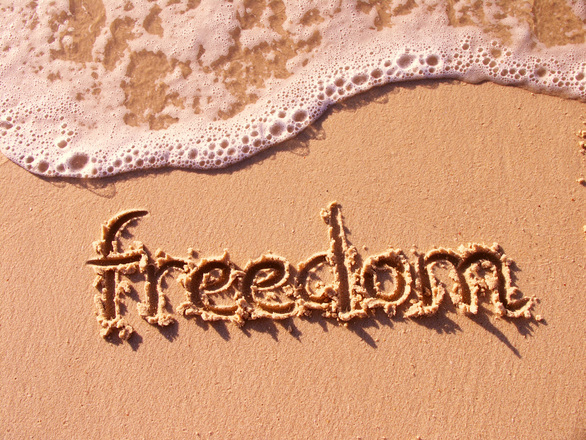 It feels liberating to be in control of my life again, and the time I spend with my kids is more joyful than before. Obviously I have always enjoyed spending time with them, but previously there was an element of resentment-not towards them, but towards my husband as he left most of the parenting to me. Now, when I have them, I have no-one to resent, and feel a happier soul. The children have adapted remarkably well. There have been few questions, and they seem to have accepted the situation. My 6 year old daughter asked me a couple of weeks ago if we had 'split up'. I told her yes, and she looked sad for a few seconds and then said 'I don't mind, because you still love us'. They are both spending more quality time with their parents, which is a good thing, and I'm really pleased that the husband is doing his fair share with the kids. They remain important to him, and I really hope that continues for the kids sake. Even though I feel happier, and am enjoying being single at the moment, I know there may be rough times ahead. Our finances are a bit of a mess, and both of us are guilty of not managing our money very well. I am not sure what is going to happen with the house, but I really hope I can stay here. I know I will have the support of my family, and for that, I am very grateful. I know things will be tough for the husband, as he will find it difficult to pay for somewhere else to live, with the finances as they are, but I'm sure something can be sorted. Things seem to be ticking along at the moment, and things have remained amicable on the whole with the husband. He seems to have accepted the situation, and is now thinking more about the future which is a good sign. Perhaps he has realised, he is happier too? I am not quite ready to formally end it yet, but that will come in time. I haven't got a clue about the world of divorce, so that is going to be a steep learning curve. Financially that could be tough too, as I can't really afford a solicitor but we will see. Sometimes you don't need the help of a solicitor and can do a DIY divorce, but it all depends on whether we can sort out the house situation, I guess. I'm taking everyday as it comes at the moment, but generally I do feel positive about the future, and am looking forward to finding myself again. 'Period Pay'- Good or Bad? So this weeks, the headlines and social media have been full of stories of a Bristol Firm who are have a new 'Period Policy' which by all accounts offers women paid time off if they are suffering from period pain etc. This would not be treated as sickness absence. Actually reading between the headlines it appears what they are simply offering is flexible working i.e. taking time off when your period comes and working it back up through the month. 'I have managed many female members of staff over the years and I have seen women at work who are bent over double because of the pain caused by their periods. Despite this, they feel they cannot go home because they do not class themselves as unwell. This all sounds really admiral, and many people will be will be applauding this policy, and how the needs of female staff are being catered for. After all this is unique to women! I am hugely supportive of women's rights, and have always classed myself as a feminist. There is no doubt in my mind that women have a raw deal in the world compared to men, and you only have to look at the gender pay gap, and the representation of women in senior roles to see that. Having said that, I am slightly sceptical about this whole 'period policy'. There is no doubt that some women are hugely affected by their period, and that it can be greatly debilitating, but I would argue that for the vast majority we are able to function quite well during our period- shock horror! Apart from being a bit of a grumpy cow at my time of the month, and the occasional cramp, l tend just to get on with things as normal, and I don't think I am alone on this. Obviously I don't speak for all women, but having done some research, chronic period pain and blood loss affects about 20% of menstruating women annually (instances tend to increase with age) so the numbers of women affected in the workplace are going to be small. The Equality Act does offer some protection to people who have disabilities. You have a Disability ' if you have a physical or mental impairment that has a 'substantial' and 'long-term' negative effect on your ability to do normal daily activities'. I would argue that if someone does suffer with chronic period pain that stops them carrying out their normal day to day tasks, they would come under this definition any way. The Equality Act states that if a person does classify themselves as having a disability, then reasonable adjustments should be considered. These reasonable adjustments. The duty to make reasonable adjustments aims to make sure that as a disabled person, you have, as far as is reasonable, the same access to everything that is involved in getting and doing a job as a non-disabled person. So for example, a reasonable adjustment may be to make changes to your sickness absence processes to allow a person more day off with sickness absence before taking disciplinary action. This is a frequently used reasonable adjustment, and I would argue, the more appropriate route to go down when someone suffers with chronic period pain. This particular policy is also just offering a way of flexible working which most employers should be offering anyway if they are supportive of their employees (not just women). We will all have occasions when we are unable to work our designated hours, due to a variety of reasons and the ability to work flexibly is crucial to maintaining a good work life balance. I am very lucky that I am able to work flexibly in my current role, and I think this is extremely important for any working mother. It is a shame that something has to be branded as a 'period policy' when it is something most employers should be offering anyway! There is no need for a separate 'Period Policy' if you use common sense and adhere to the law as it already stands. The company in question has gained a lot of publicity from this policy, and I can't help thinking that it is all a bit of a PR stunt really. Yes I agree that there is still stigma and a taboo around period pain, but I am not sure this policy will do anything to alleviate that. Surely it's your own business when you have to take time off because your unwell, and the fact that you are taking time off under the period policy, doesn't mean that this should be broadcasted around the workplace. I certainly wouldn't want all my colleagues knowing that I was having my period- I would prefer to tell them I had been unwell, or need to take some time off and leave it at that! I also think that it adds weight to the label that is placed on women, that we are all weak, fragile and need to be treated with kid gloves. We are tougher than some people give us credit for! I know that not everyone will agree with my point of view, but sometimes it feels good to have your say! My week on the Exante Diet- The results are in! Competition! Win a £20 Amazon voucher. Boys in tights- a new trend or fashion faux pas?